The CH26 is an elegant dining chair made with exceptional craftsmanship. 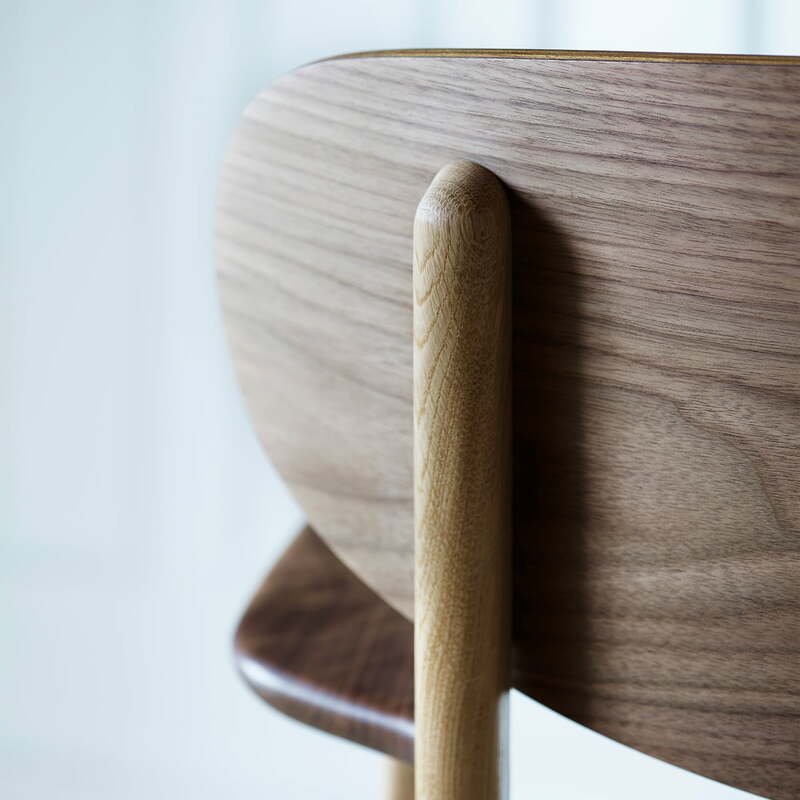 Already designed by Hans J. Wegner in 1950, the chair has been produced in a revised version by Carl Hansen & Søn since 2016. 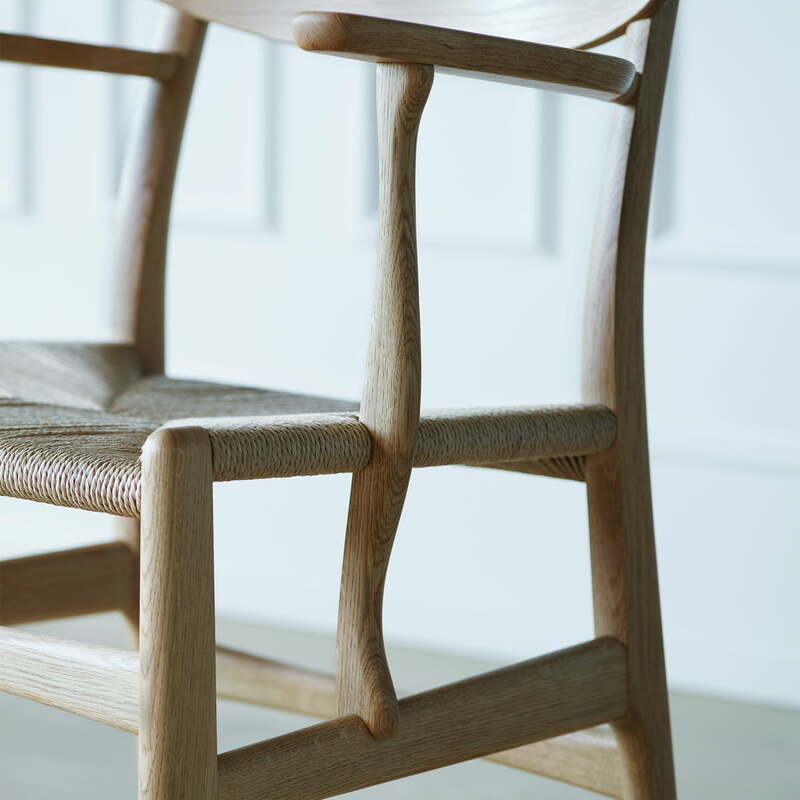 The Reddition was created in close cooperation with the Hans J. Wegner Studio based on Wegner's original, hand-drawn sketches. The CH26 was designed by Wegner exclusively for Carl Hansen & Søn, but never went into production. The revised version convinces with its organic form, the bold backrest and the woven seat. Sitting at a desk or dining table for longer periods of time becomes a comfortable affair with the CH26. The chair with armrests consists of a four-legged frame made of oak or walnut. The seat is made of paper yarn in black or natural in elaborate and careful handwork. The paper yarn, actually a substitute for leather or the like in times of war, proves to be very robust and durable. Wegner was a big fan of this material and used it for many of his chairs. 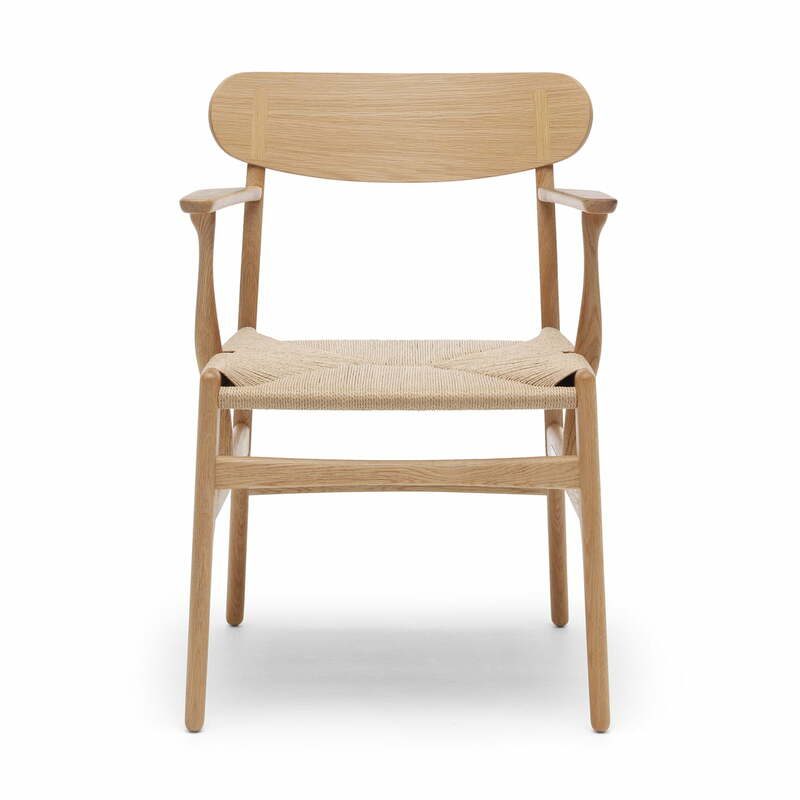 The new CH26 chair convinces with its robust features and its timeless appearance. It looks good at the desk, at the dining table or alone in the living room. The CH26 armchair by Carl Hansen with a four-legged frame made of oiled oak and walnut and a seat made of robust paper yarn in natural in single view. The CH26 is an elegant dining chair made with exceptional craftsmanship. 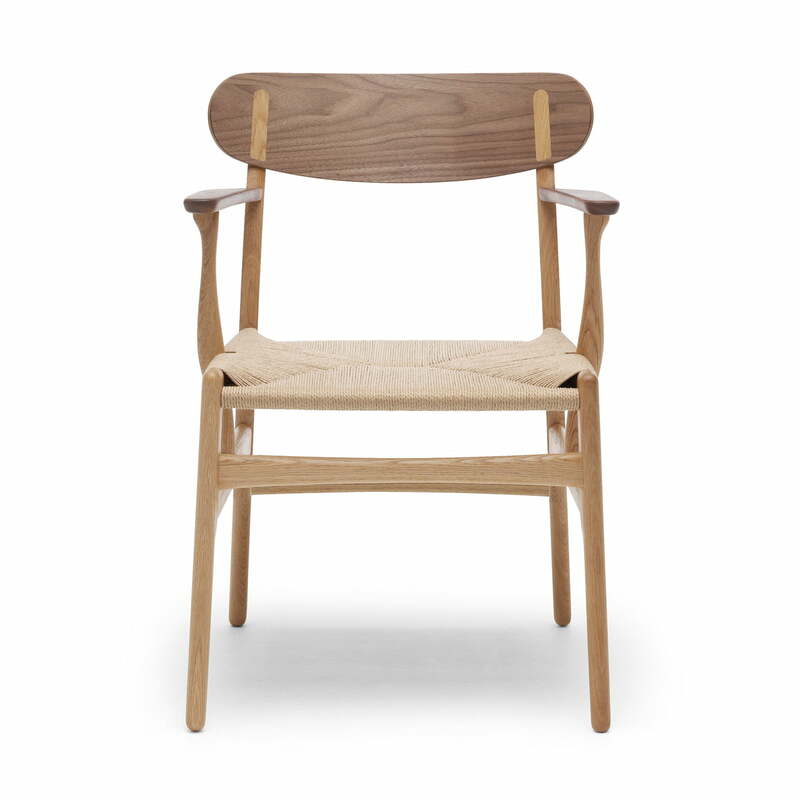 Already in 1950 Hans J. Wegner designed the chair for Carl Hansen & Søn. 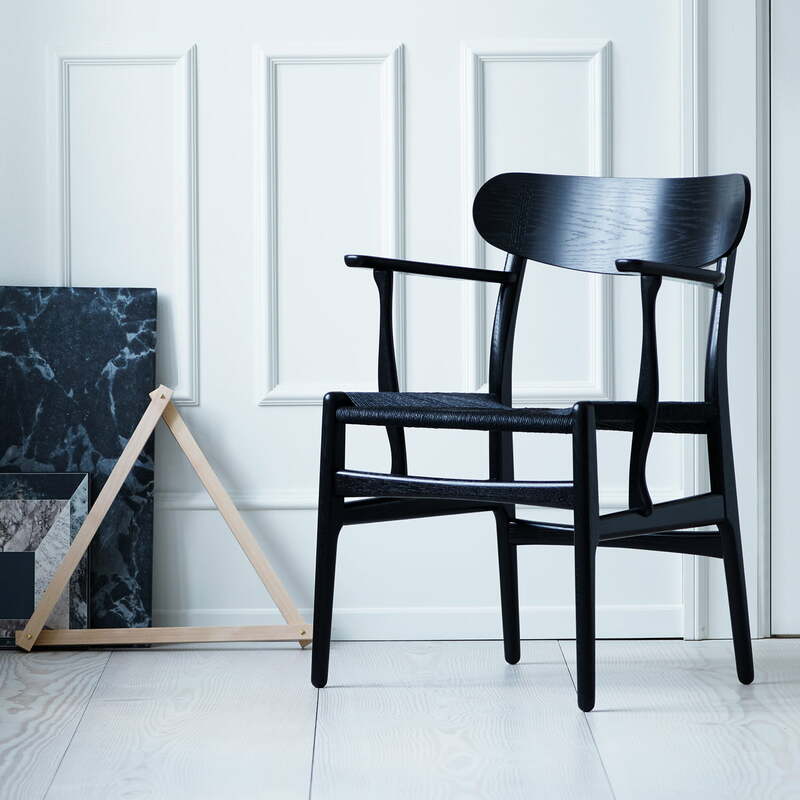 Since 2016 Carl Hansen & Søn has produced a revised version of the chair. 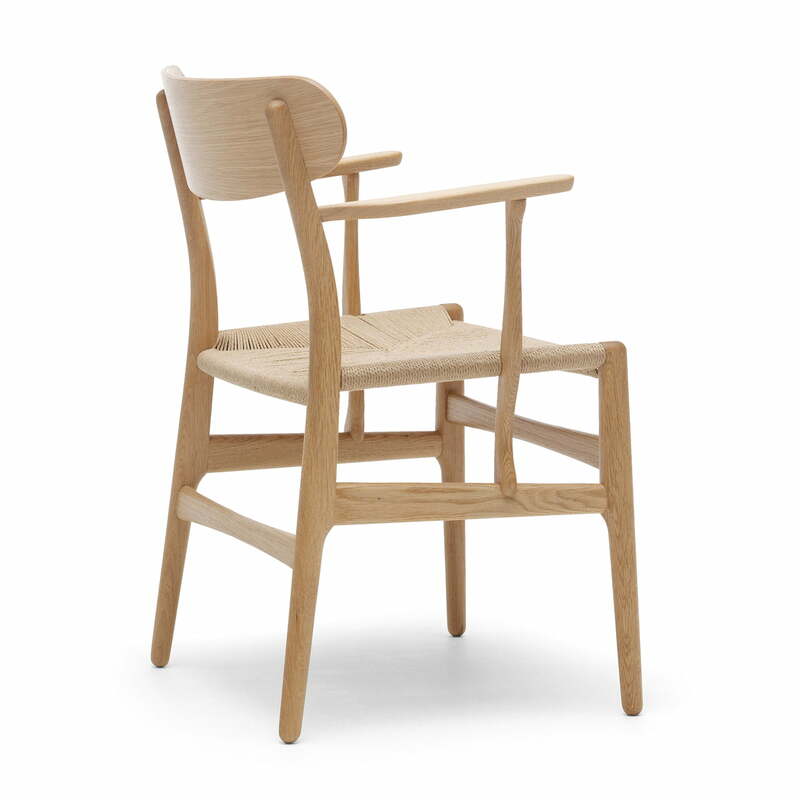 The CH26 was designed by Wegner exclusively for Carl Hansen & Søn, but never went into production. The revised version convinces with its organic form, the bold backrest and the woven seat. The seat is made of paper yarn in elaborate and careful manual work. The paper yarn, actually a substitute for leather or the like in times of war, proves to be very robust and durable. Wegner was a big fan of this material and used it for many of his chairs.